Most of us are concerned with the looming spectre of climate change. Indeed, the changes are already upon us and we are living through more extreme weather events every year in many parts of the world. Though there are those who deny the science, the fact is that there has been a trend of warming and increased carbon dioxide in the atmosphere since the beginning of the Industrial Revolution. So, what can we do about it? One of the best ways to reduce our carbon dioxide emissions is to reduce our dependence on coal-fired power for our electrical needs. Every time we switch on a device, we’re drawing electrical energy from the grid. This then places more demand on power stations that are fuelled by coal-fired power. Sadly, when we burn coal we release massive amounts of carbon dioxide into the Earth’s atmosphere, and this then acts as a blanket, causing global warming and climate change. The threat to us is existential in scope. As the climate warms, it affects polar ice, raises sea levels, and destroys delicate ecosystems, such as the Great Barrier Reef and fish populations. This cannot be allowed to continue and we must seek a solution. Even if one is sceptical about the science behind climate change. It cannot be denied that solar derived power is clean. The good news is that solar power cells have advanced exponentially in recent years and there are many panels on the market that can be attached to our properties. 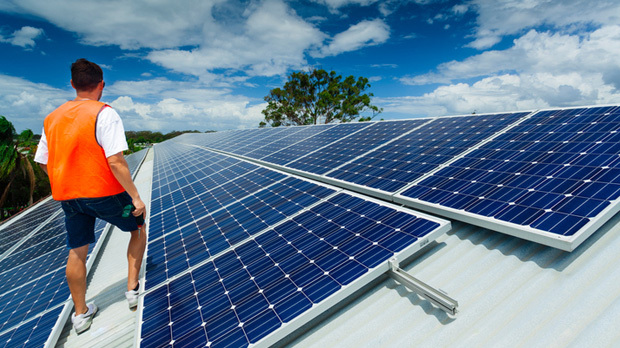 The home solar battery scheme in South Australia takes advantage of the installation of solar panels on properties by offering a tiered subsidy system for anyone who wants to also install a solar battery. This solar battery actually stores the electrical energy that is generated by the solar panels. By generating clean electrical energy from solar panels and storing it in solar batteries, every property becomes like a micro power station. This also means there is less reliance on the energy grid and coal-fired power. The hope is that this will significantly reduce our carbon dioxide emissions and generate electrical power in a clean way that has a virtually limitless source. Though many people argue that Australia’s emissions account for a tiny fraction of global emissions, there is little point in looking to the past for answers. Even a slight reduction in emissions is surely better than zero, and the other point is that solar energy is clean energy. It is virtually limitless energy that we don’t need to dig up out of the ground. It is energy that does not result in the destruction of delicate ecosystems. Those who would stand in the way of this progression in our energy future have vested interests in coal and fossil fuels. They stand to lose millions of dollars, but what price are we all willing to pay for not doing anything at all? What price are we willing to pay for destroying our own environment simply because the greedy few lose some money? These are the questions we must ask ourselves.